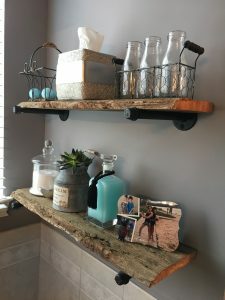 For step-by-step instructions on how to make these rustic industrial shelves from reclaimed wood, please click here. 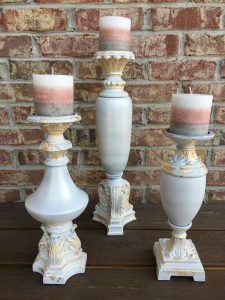 For step-by-step instructions on how to update outdated candlesticks to glamorous whitewashed golden candlesticks please click here. 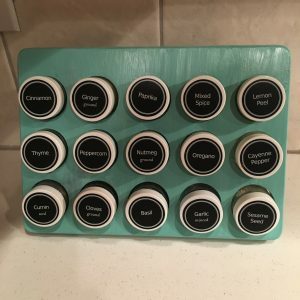 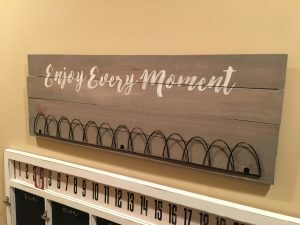 For step-by-step instructions on how to turn an orangey oak sign into a rustic farmhouse sign with a modern grayish whitewash please click here. 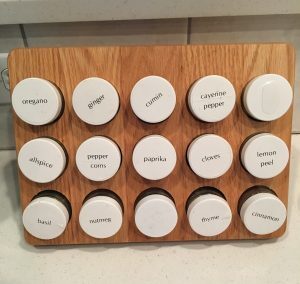 To see how tiny changes can make major impacts, please click here.